Facilities Management offers vehicle services for the campus community, including the rental of campus pool vehicles. We also provide vehicle maintenance and State reporting services for all campus vehicles. Before reserving a vehicle, you will need to have satisfactorily completed the Defensive Driver training for students, faculty & staff and be aware of all CSU (pdf) and HSU Travel Policies, as well as the CSU Guidelines for Use of University & Private Vehicles (pdf). Facilities Management coordinates rental of pool vehicles, including buses, a 15 passenger van and a truck. All vehicles are rented by the mile. 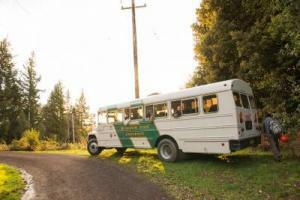 The buses and the van must be driven by a University driver, so additional hourly charges will apply to these vehicles. Please contact Facilities Management for the current fees associated with these rentals at 707-826-3646. 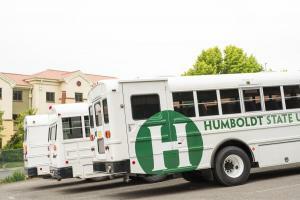 To reserve a pool vehicle, complete and email a Pool Vehicle Request form to vehicles@humboldt.edu. Facilities Management is no longer reserving rental vehicles or receiving vehicles for pick-up in the Facilities Management parking lot. Please make your rental car arrangements directly with Enterprise and be sure to follow all travel policies and procedures found here. Facilities Management is responsible for maintaining vehicles, recording services and reporting to appropriate state agencies for all University vehicles. University, Department vehicles are scheduled for preventative maintenance when appropriate, which is performed in the Facilties Management auto shop. To request additional services, please submit a customer service request and you will be contacted for scheduling.